The first book to be published on the The Who, but one rarely referenced. The author had a column in Let It Rock where he wrote about technical things like microphones and PA systems. That side is lacking here, instead he uses an Eng. Lit. approach to pick apart the themes in Townshend’s songs, which is all so so. In what is essentially a long essay, the best element by far is how he works in a relatively sustained examination of the band’s synthesis of a Mod sensibility into their work and very being - a Mod’s view of life that is as much there in ‘My Generation’ as it is in ‘Sally Simpson’ or any other number from Tommy. The book is also thoughtfully illustrated throughout with some brilliantly chosen images and carefully considered page design. 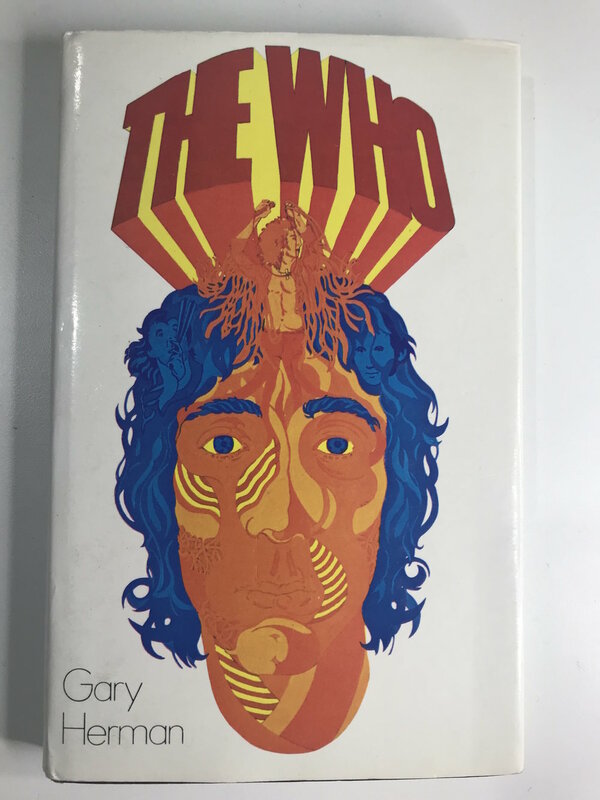 David Goard’s otherwise unremarkable cover illustration foreshadows Quadrophenia with its rendering of Townshend’s head combining the band’s four facets. In the February 1975 edition of Let It Rock, Gary Herman gave the low-down on all things Who since the publication of his book in 1971. Solo albums from Daltrey and Townshend, three from Entwistle and one forthcoming from Moon, seven singles, Leeds, Next and Quadrophenia, and two compilations had followed. A lot of product . . . But Quadrophenia doesn’t ring true as a simple Mod’s tale. It’s too overloaded with Townshend’s self-conscious and arty interpretations; it’s too much of what he thinks Mods should have felt.